Our innovative designs are the most advanced available; see more here. Our magnetic snaps are manufactured in Europe, Asia and the U.S.
We can drop-ship items from our factories to yours for reduced shipping cost and faster delivery to your overseas plants. We manufacture our magnets to ISO 9001 standards with tight tolerances. We constantly monitor our quality both during and after production. See the Certificate here. Customer service and satisfaction have been the hallmark of our success as a worldwide supplier of magnetic closures. Whenever you call, someone will answer the phone. Due to our large in-stock inventories of our most popular items, we are able to meet customer’s needs for quick shipments, just-in-time shipments and other services that make us a value-added partner. Wherever you manufacture, just buy ROMAG magnet snaps and put them right to use – no need for stickers or royalty licenses. ROMAG continues to broaden its marketing appeal as we develop new styles and strengths of magnetic closures. Almost every day, we are expanding the variety of magnetic closures available to global markets. Our innovative products will always continue to add style, fashion and strength to the tool chest of the most discriminating designer. The ROMAG engineers are continuously working on new products and design modifications, including custom logos and finishes. 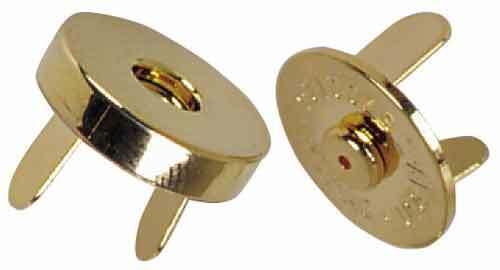 If your company has a specialized application for ROMAG magnet snaps, we are happy to accommodate your specific needs. See more here. 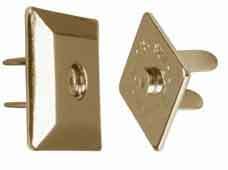 Click here to visit our Partner website for snaps, rivets, grommets and other hardware.